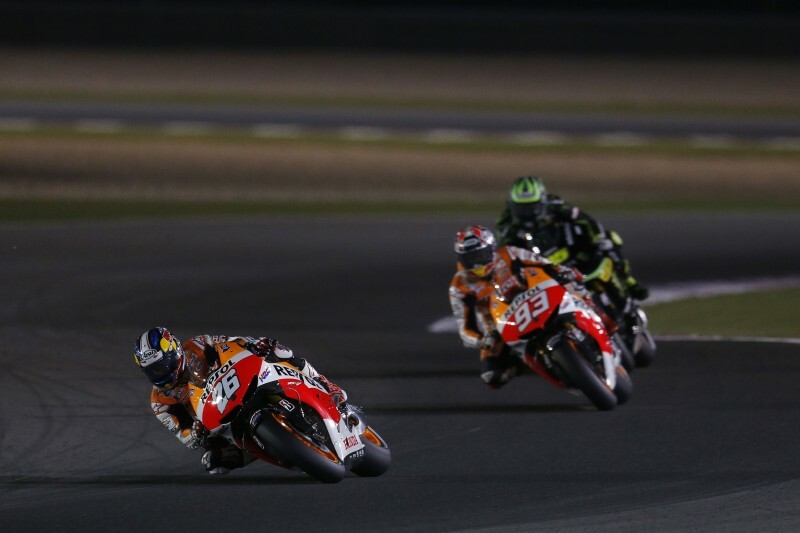 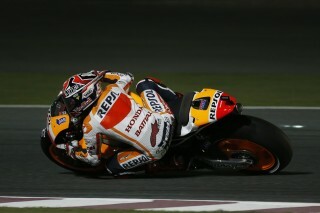 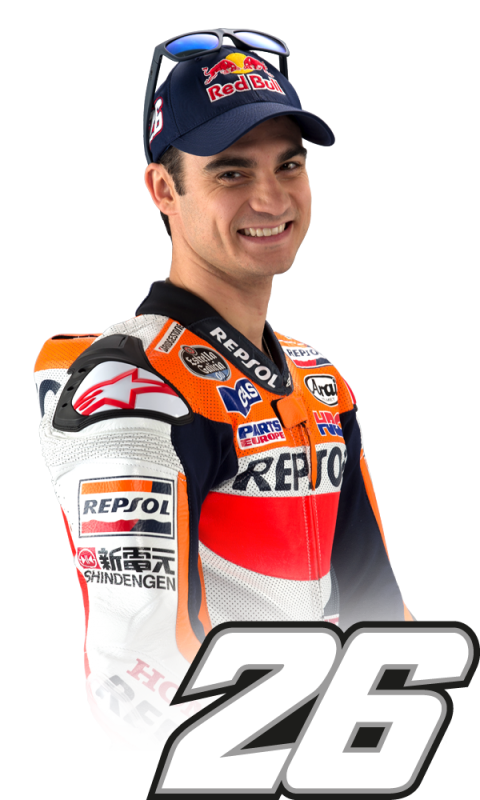 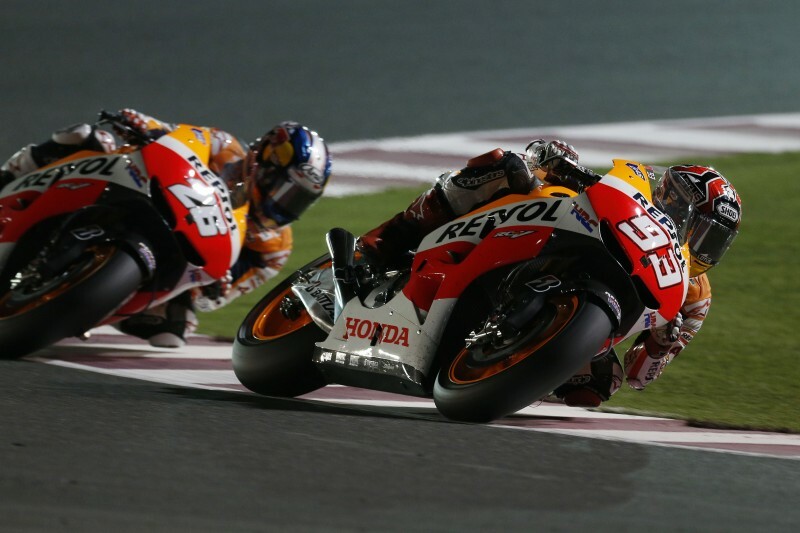 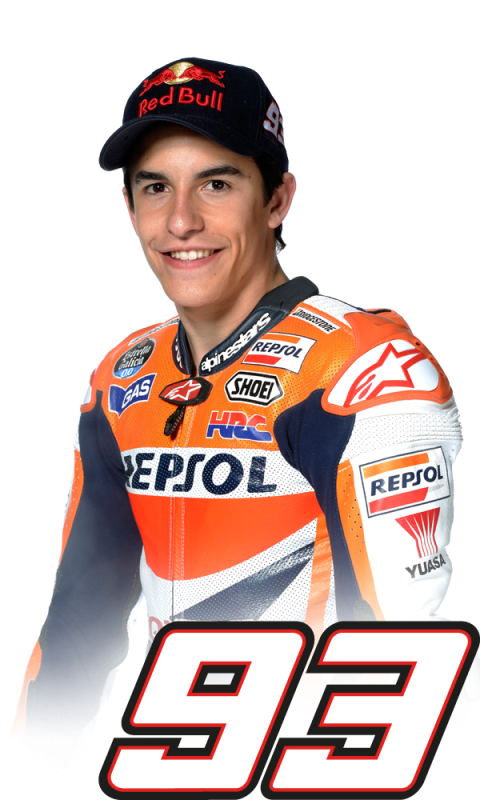 Tonight in the Grand Prix of Qatar, Repsol Honda’s rookie Marc Marquez, took a fantastic 3rd position to claim a podium finish in his first race in the premier class with teammate Dani Pedrosa finishing just three seconds behind him in 4th position. 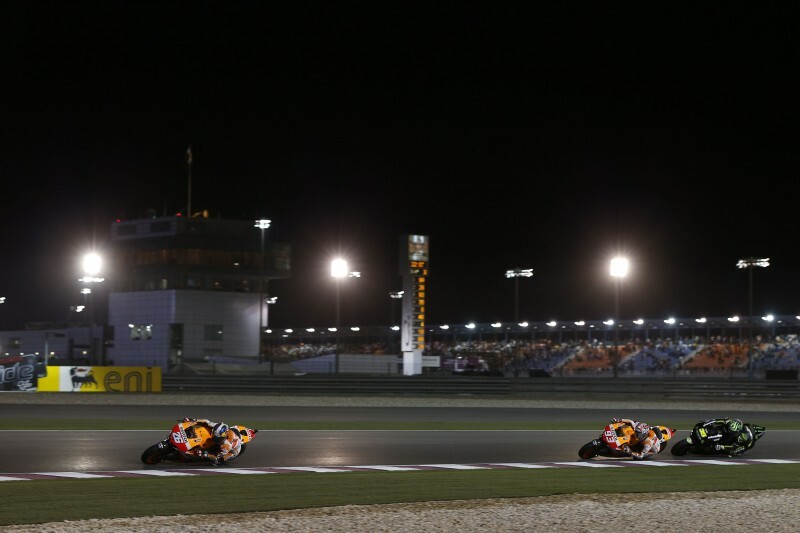 It was an intense race from the start with Dani moving up to second by the first corner. Marc dropped back briefly to 7th but fought through the pack and up to 4th by lap two and then up to 3rd, behind Dani by lap three, setting the fastest lap of the race with 1’55.445. 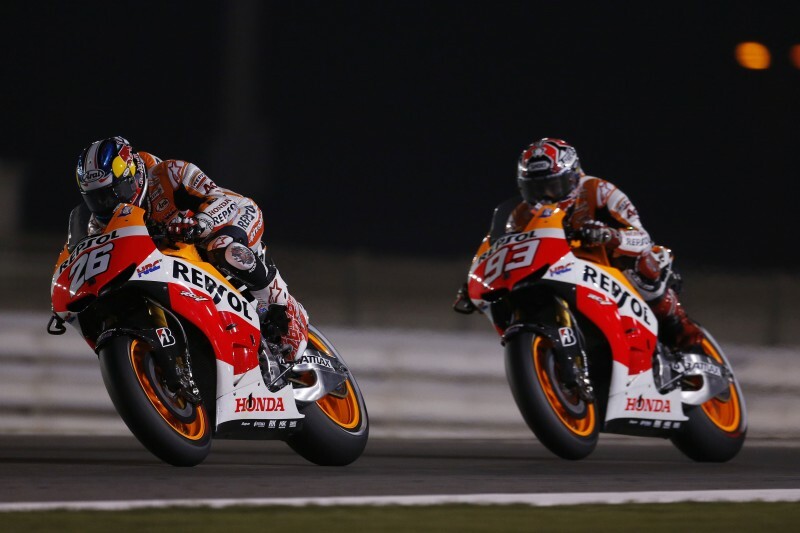 The two Repsol Honda riders then stuck together for fourteen laps with only a few tenths between them, until Marc passed Dani on lap sixteen. 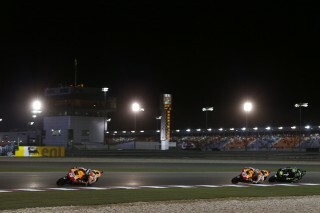 In the final laps, Valentino Rossi came through the pack and passed Dani on lap eighteen and Marc was unable to hold him off on lap nineteen. He battled and briefly overtook Rossi, but finally settled for 3rd just over two tenths behind the Italian.